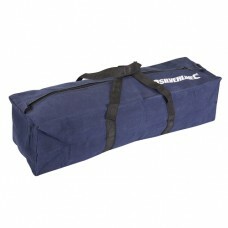 Heavy duty tool bag made from heavy cotton canvas. Strong webbing handles and heavy duty nylon zip. Flared pocket. 620 x 185 x 175mm.